Honor, Huawei’s sub-brand for digital natives, today announced great discounts and offers on Honor’s best-selling smartphones as a part of ‘The Great Honor Sale’ exclusively on Flipkart starting midnight of 27th Aug till midnight of 29th August. 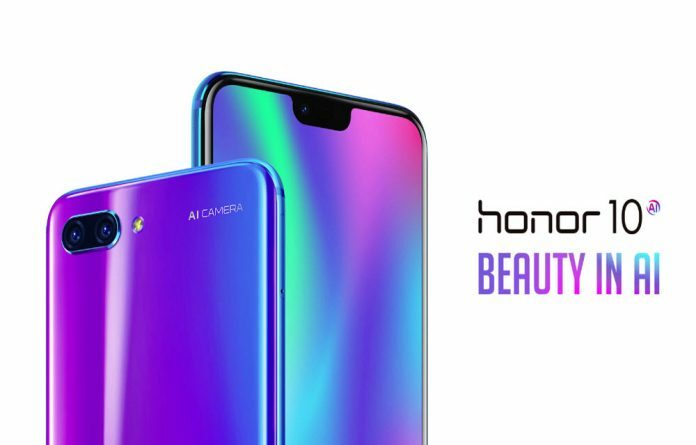 The three-day sale will offer a 1-hour flash sale on the recently launched exquisitely beautiful Honor 9N which comes with stellar aesthetics and a Notch along with discounts on Honor 9 Lite and Honor 10. Honor’s bestselling smartphone Honor 9 Lite (4+64GB variant) will be available at Rs. 14,999 with a bump up exchange offer of up to Rs. 3000. Customers planning to buy the flagship killer Honor 10 can purchase the device at an attractive price of Rs. 27999 exclusively on Flipkart. Honor 9i- the first smartphone with four cameras set up and FullView Display will be available at a discounted price of Rs. 12999 for the first time ever. Honor 9N (4+64GB & 4+128GB variant) to be available through an open sale from midnight,25th August onwards. Flipkart will hold a flash sale for Honor 9N (3+32GB variant) from 12 PM noon, 28th August 2018 onwards every Tuesday. Customers can also avail an additional 10% discount on HDFC debit and credit cards across the selected range of Honor smartphones. Honor 10 has emerged as the best flagship globally owing to its best in class hardware and software configuration. Most preferred Honor smartphone amongst the millennials, Honor 9 Lite is hailed as a number one selling smartphone on Flipkart. As a pioneer of dual-camera technology, Honor has pushed creative boundaries even further with dual front and rear cameras of the Honor 9 Lite, equipped with a FullView FHD+ display. Designed with both aesthetics and function in mind, the Honor 9 Lite is ultra-thin, sleek, and stylish smartphone with a mirror back.